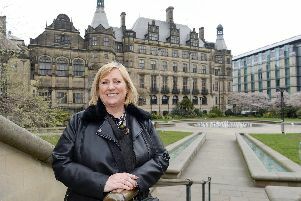 For our latest Sheffield Telegraph Voices feature we posed the question:- After all the dust has settled, in five years' time will Britain be in a better position or worse for being out of the European Union? Richard Wright, of Sheffield Chamber of Commerce. At the time of writing, we still don’t know where we will end up. Even if we agree a deal, for business, the important work then begins as we negotiate our trade relationship with Europe from the end of the transition period. The interesting question is how much does Brexit matter in the big scheme of things? Twenty or 30 years from now, and looking back will we think Brexit was a good or a bad thing? Brexit will not change some of the big trends and changes in the world. They are described as disruptive because they drive very fundamental change. For retail it is the move to online shopping – currently 25 per cent of all sales and growing – for automotive it’s the move to electric vehicles because of environmental restrictions; for international trade procedures it’s the methodologies and documents being specified by the World Customs Organisation to tackle things like money laundering, nuclear proliferation and terrorism. Europe itself has many problems and is far from stable. The Euro doesn’t really work. There is a north/south divide. Only this December the European banks had to take over an Italian bank because it would have gone into liquidation. Europe, while growing, is becoming a smaller proportion of the world’s economy. The European single market, if it survives, will always be a significant part of the world economy but I can’t help feeling that by 2050 we will be judged more by how we trade with other parts of the world like South East Asia, South America, India and Africa. Of course, some will move faster than others, but I am arguing that it is just as important to build relations with new emerging economies as it is to maintain our traditional links with places like Europe and the USA. The million-dollar question is whether we will do that better as part of Europe, or independent of it. It’s the fundamental difference, forgetting politics, between the Brexiteers and Remainers. I absolutely believe that any situation has threats and opportunities and it is our job as business leaders to exploit the opportunities and mitigate the threats. Leaving Europe will undoubtedly cause enormous short-term disruption and that is very scary, but it won’t stop the big disruptive trends in the world. Whether companies come and invest in our country and region will eventually come down to what technologies we develop, the skilled labour market we offer and how we give the customer what they want. Brexit is very important, not because it portrays the end of everything if it goes one way or another, but because it modifies the platform on which we will trade with the world. 20 or 30 years from now, looking back I believe we could be successful whether we leave or not because it’s much more dependent on how well we exploit opportunities and mitigate threats and how we serve our customers. Brexit is important but its only part of the equation. Right now, it is impossible to predict a week ahead, let alone five years. Will we be in or out of Europe then? Assuming we are out, what treaties will we have with other countries? No-one can say. So I admit this is a purely personal speculation on what it would be like five years after leaving the European Union. I assume we won’t actually be at war with Europe - or under martial law. But I also assume the campaign to rejoin the EU will be growing, reflecting the thirty years of work after the Second World War when Britain fought to get a place at the European table. For most families, the real impact will be hard to tell. Big issues like climate change will become harder to challenge, with the breakdown in European co-operation, but it will be difficult to pin down precise causes and effects. So what’s that got to do with the price of fish? Britain exports more fish to the EU than it imports, so Brexit will damage this trade. However, Britain imports more cod and herring so prices at chip shops will go up. The breakdown of fishing quotas may allow Britain’s fishing fleet to bring in more North Sea fish, so wholesale prices could go down again – but whether you see it when paying for your fish is a different matter. But then overfishing will drive North Sea cod towards extinction again. Not only is this an environmental disaster but it also drives consumer prices up again. That’s just a very simple view. No-one knows for sure what will happen. However, we already know that food prices have gone up significantly more since the 2016 referendum than in Eurozone countries and that real wages have fallen. For example, a local trader told me his £5.99 unit of tomatoes was now £10.99. That’s an 83 per cent increase in one of his raw materials. What we can be sure about is that disruption and uncertainty would continue for long time after leaving the EU. And it is a well-known maxim that uncertainty is bad for business. We still do not seem to have a clear way forward that Parliament can or will support. It is still unclear whether the Prime Minster will get any concessions from the other 27 members of the EU that will satisfy the hard line Brexiteers in her own party, never mind the rest of Parliament. Labour’s preferred option of renegotiation and a customs union with the EU has again been comprehensively defeated in the Commons and while the party has said it might support a second referendum by the British people it is still unclear what that would actually mean. In my view both major parties are putting narrow party politics before the country’s future and that is not acceptable. I have said for some time the only way out of the deadlock we find ourselves in is to go back to the British people to ask whether or not they want to ratify the ‘deal on the table’. Quite clearly, a rejection of May’s deal would imply that we stick with the status quo, which is continued membership of the European Union. This way forward would no doubt require the extension of Article 50. But it would at least provide certainty and relief that the country is not going to commit the biggest act of self-harm in its history by voting for a no deal exit. I therefore appeal to both Theresa May and Jeremy Corbyn to genuinely put the country’s interest first. Put the deal back to the people. If they don’t and we do end up leaving the EU without a deal both parties and leaders will be responsible and rightly blamed for what may follow. I was originally asked to write a column on where Britain would be five years after Brexit. With news on Brexit changing daily, who knows where we’ll be next week never mind in five years’ time. For me, the Brexit vote unearthed divisions in Britain that are deeply worrying. My family came to Britain to work when I was a young boy. We worked hard, payed our taxes and got on in life. But just after the 2016 referendum, there was a worrying spike in hate crime. It was incredibly difficult to see our once open and tolerant country resort to hate crime. My biggest fear around Brexit is that the divisions in our society will only get worse. But this is only one part of a much bigger picture. The Government’s own figures show that every Brexit scenario will make us poorer. Who do you think will be hit headrest by this? Will it be the wealthy who can move their wealth around the world? Or will it be the young families who are just about managing? Young families struggling to get by is a far cry from the extra money promised on the side of a bus. Whatever the final Brexit deal brings, one this is sure: Britain will fall further and further behind our global counterparts. Looking around the world, we face big challenges. We have big companies taking advantage of tax loopholes around the world, criminals and terrorists moving around the world to avoid justice and climate change which threatens civilisation as we know it. These issues need a global response. They need team work. And they need cooperation between our friends and neighbours. Europe is working to tackle these issues, can Britain do it on its own? 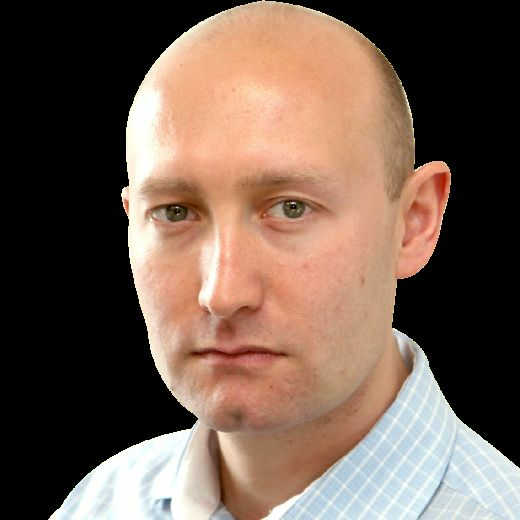 I’d love to finish the column on a positive note, but I just can’t see how Britain will be better five years into Brexit. There are a lot of unknowns, but what we do know is that we will be poorer, have less political clout and risk further divisions in our country.